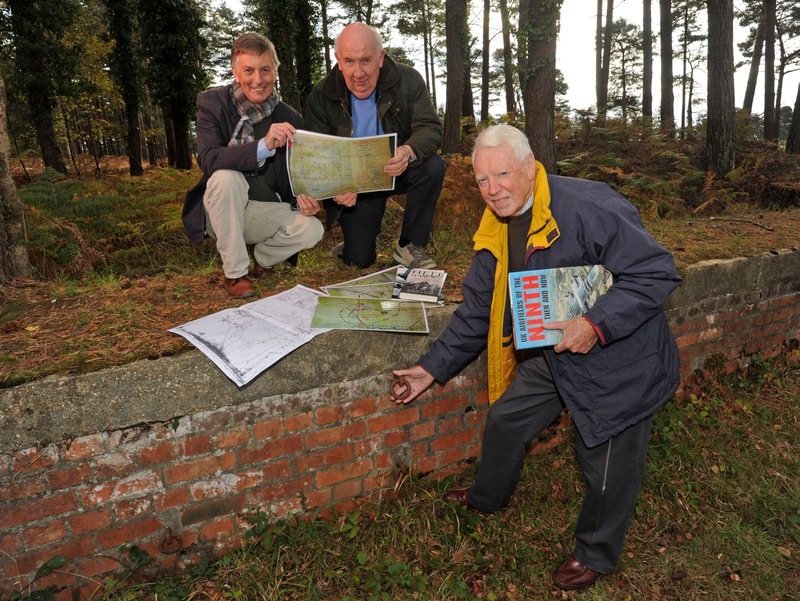 The New Forest National Park Authority has received a confirmed* grant of just over £550,000 from the Heritage Lottery Fund (HLF) for the project ‘New Forest remembers - untold stories of World War II’. From left to right-New Forest National Park Authority’s Archaeologist Frank Green, John Levesley Secretary of Friends of New Forest Airfields and Julian Johnson, Chairman of the National Park Authority. The project will carry out essential archaeological surveying of part of the New Forest National Park including an airborne infra-red LiDAR survey (light detection and ranging), mapping work and field surveys. These will record World War II archaeological sites and their conservation needs. Volunteers will be recruited and an outreach programme will be designed to engage local communities, groups and organisations. Teaching resources and educational activities will also be developed to link World War II archaeology with the National Curriculum. On the ground a range of new information and outreach materials will show visitors the important part the New Forest and its people played during the war.